Wide Teams | Have a spam day! Making communication tools fun. Picking a new team communication tool is one thing. Getting everyone to use it is another. Here’s a fun technique for easing adoption of a new tool. 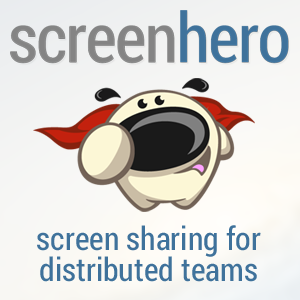 So you’ve evaluated the options and picked a chat tool for your distributed team. Or a presence app. Or maybe you’ve decided to use video mail. Now you have another challenge ahead of you: getting everyone to use it. Some people are natural early adopters. I’ll try any tool out if it’s new and interesting, and keep using it if I find it helpful. Others are slower to change. One way to get over that initial resistance to a new tool is to make a game of it. One one of the teams I work with, the engineering leadership decided to roll out Yammer for status updates and virtual presence. In order to ease adoption of the new tool, I declared a “Spam Yammer day”. On that day, for a 12-hour period, everyone was encouraged to post to Yammer as often as they could. The person with the most updates at the end of the period got a prize from the CTO. As you might imagine, the Yammer stream wasn’t very useful that day. But it did get everyone posting – including people who hadn’t posted much until then. Most importantly, at the end of the day, everyone on the team felt a lot more comfortable using Yammer. Dispersed teams have to lean on tools a great deal in order to get their work done, and they have to stay nimble – switching to new tools when a better one comes out, or when the team identifies a shortcoming in their communication. If you are the one tasked with introducing a new tool, try making a game of it. You’ll likely find it makes the adoption go a lot more smoothly. Have you ever had trouble getting a team to warm to a new tool? How did you finally get them to embrace it? 2 Responses to Have a spam day! Making communication tools fun. running up debts on sports betting.